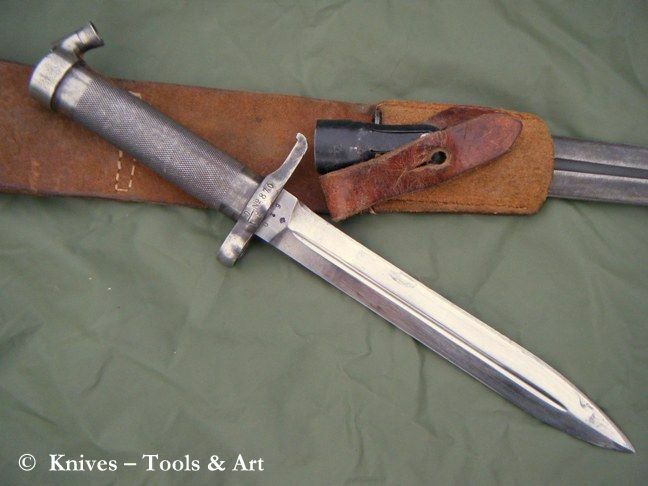 An old Swedish bayonet used on bolt-action rifles m/1896 and m/1938 manufactured in Sweden (Carl Gustafs stads Gevärsfaktori and Husqvarna Vapenfabriks Aktiebolag) and Germany (Waffenfabrik Mauser Oberndorf a/n). 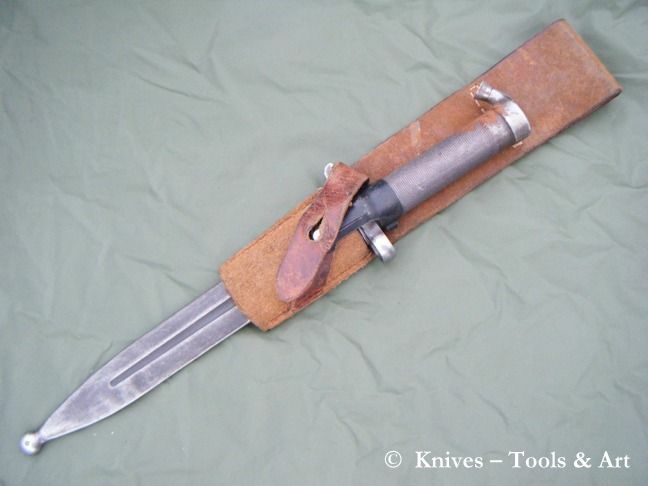 This bayonet can also be used on the automatic rifle Ag m/42. A lethal weapon back in the days and today a beautiful ornament. Or why not sharpen up your m/96 bayonet and use it when out hunting wild bore.